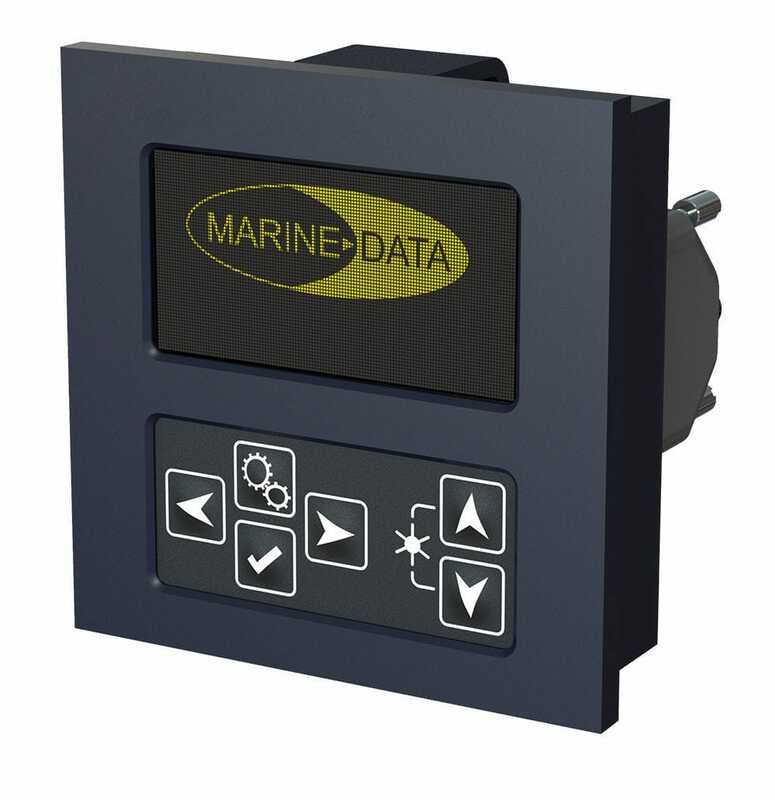 The MD71MFD is a compact multi-function Digital Display with a 2.7” OLED Graphic Display and NMEA 0183 (IEC61162-1) input. It is designed to accept data from a variety of sources and display navigational and related ship information in numeric and graphical format. Firmware variants are available to cater for specific information groups, with each variant capable of displaying information from a number of related sources. Each firmware variant is configurable to customise the display options available to the user. The MD71MFD has a 2.7” yellow OLED screen which can display alpha-numeric data in 6 font sizes with digits from 3.5 to 20 mm high and also display graphic detail. The MD71MFD from MARINE DATA: flexible in application, easy to install and simple to maintain.